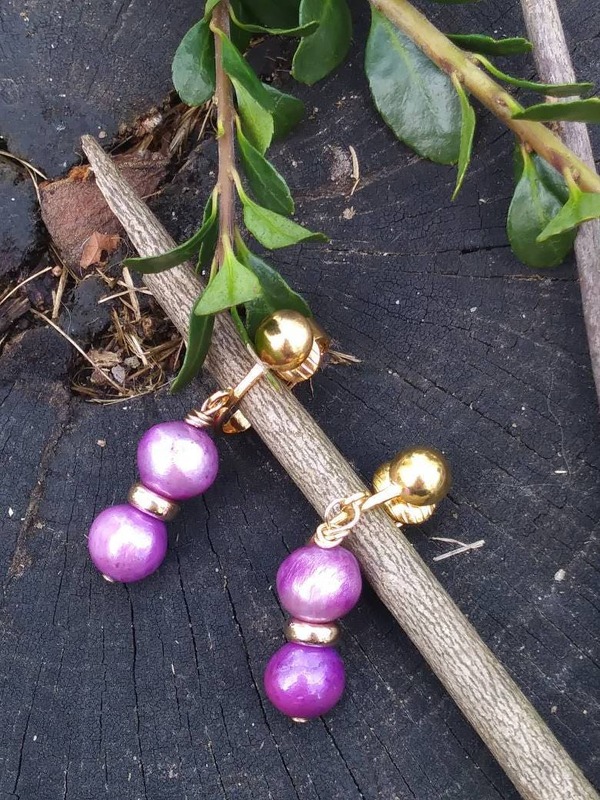 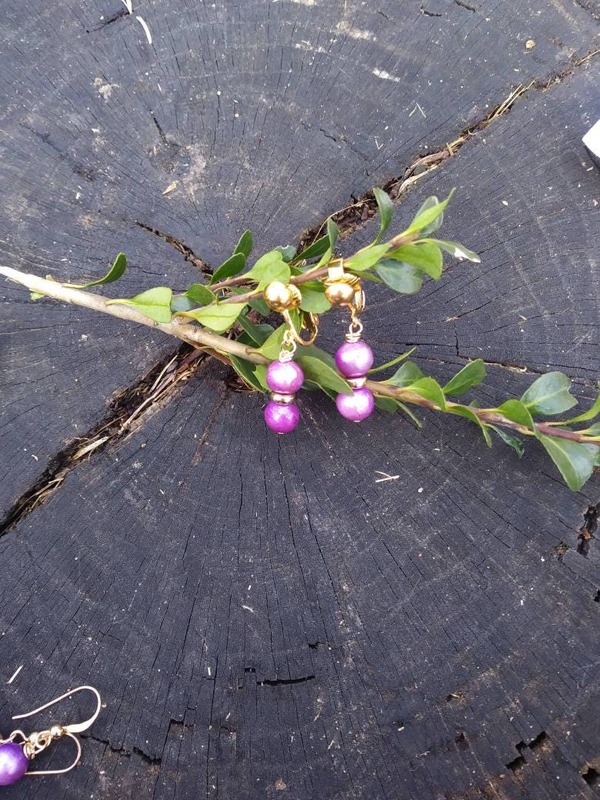 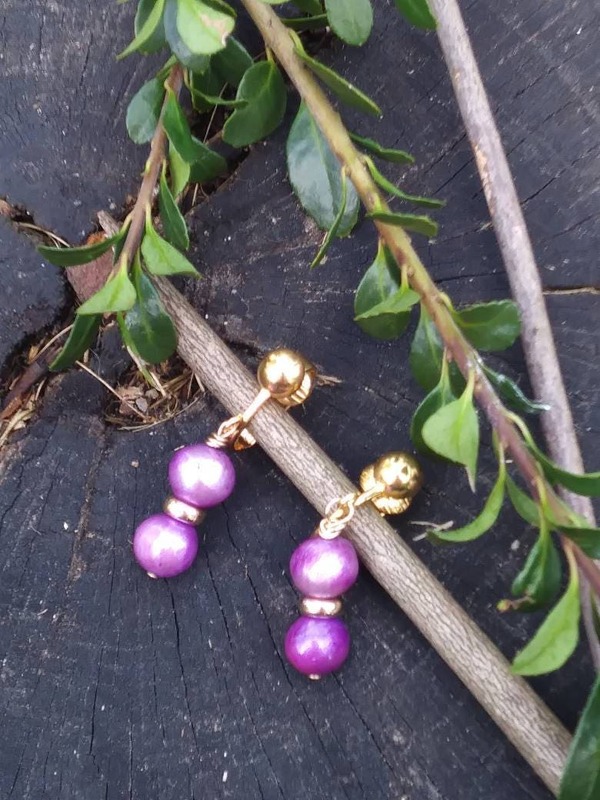 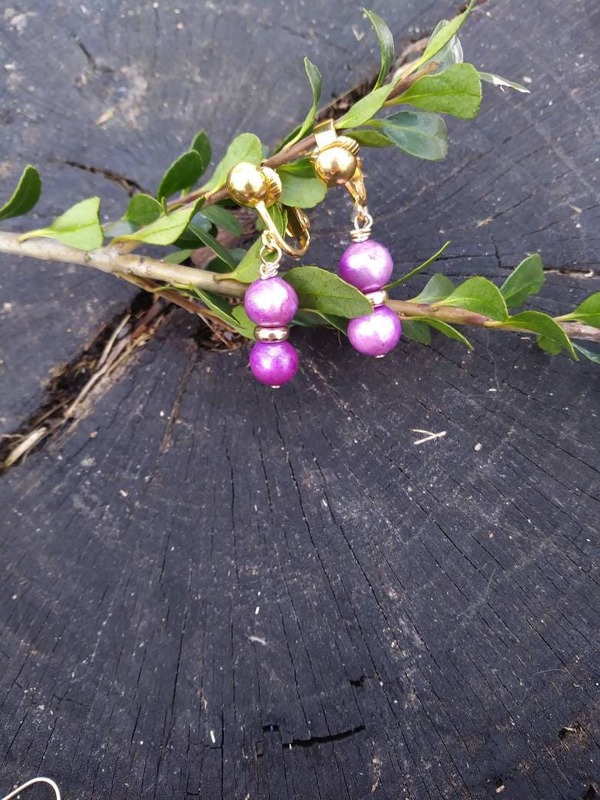 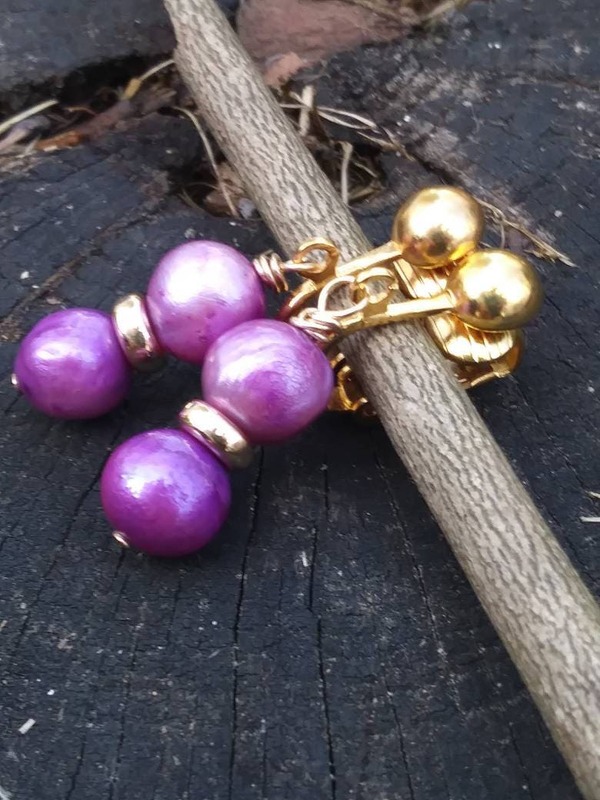 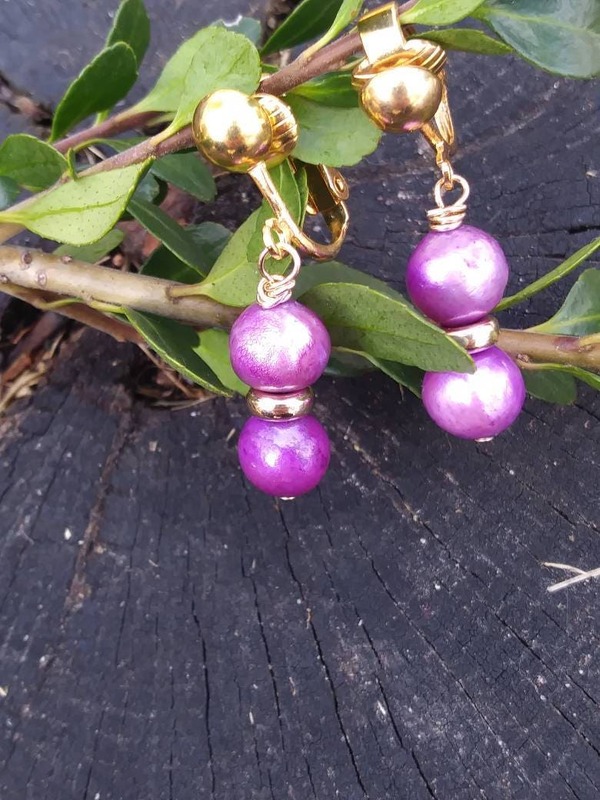 Lovely simple ultra violet purple freshwater pearls paired with gold plated clips and accent beads. 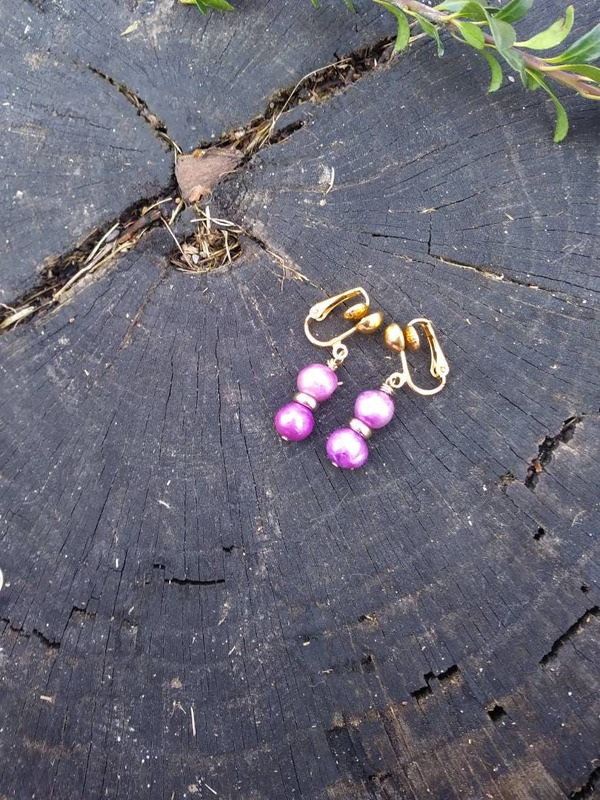 Earrings are 1.5 inches long. 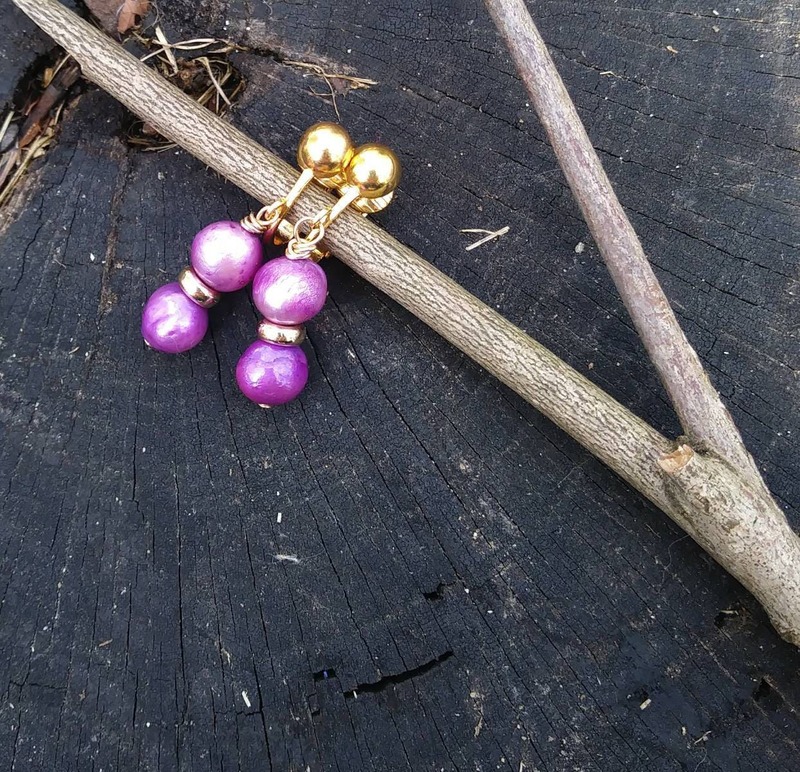 Available in french hook or clip-on.